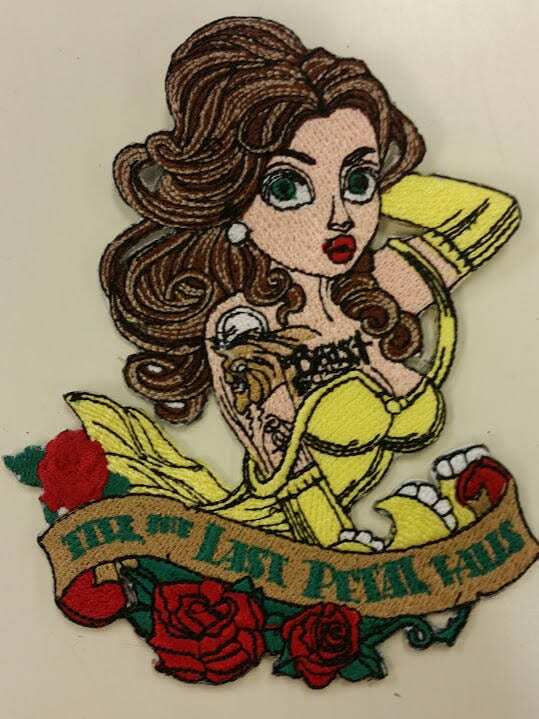 This beautiful Belle embroidered patch from Beauty and the Beast is embroidered with yellow, gold, brown, khaiki, green and flesh toned thread. 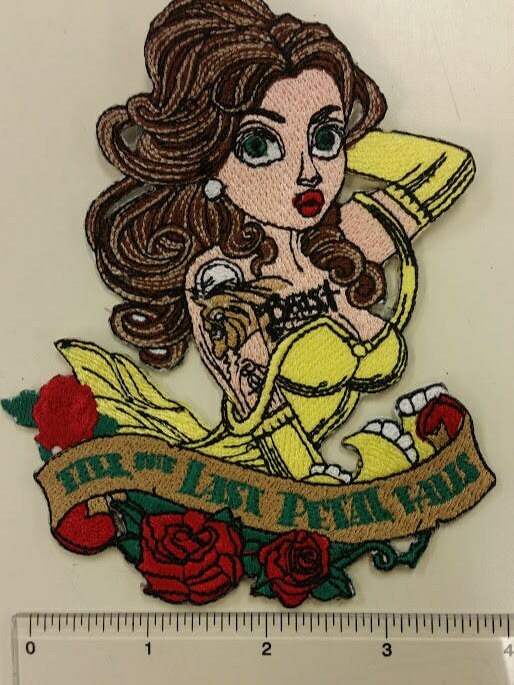 It is a larger patch and measures approximately 4"W X 5"H. She is tattooed with the Beast and the banner below her says Till the Last Petal Falls. 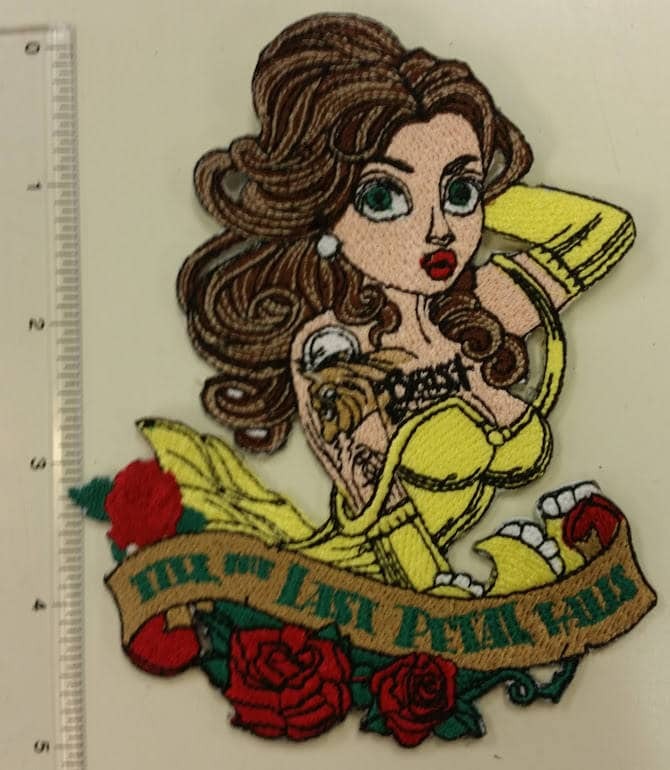 Very nice patch , another great design,artwork!